Home Online Earners is a binary options beta testing software that claims to be given away $400-$4500 a day. The developer of the software is Nathan Wilson who is a relative unknown in the binary market and I can’t seem to find him anywhere in the search results. Today I’ll be providing review and giving an analysis of the software and what Nathan has put in front of us today. The Home Online Earners binary options software is another of the free distinction. That means that once you enter their members area in order to gain access to the software you will be written quired to sign up with the binary options broker and deposit money. Yes, I understand this means that it hardly is free but I call them free binary options systems because the websites that market these types of products consistently tell us they are free. 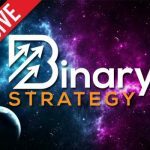 In order to gain access to this software traders have to sign up and deposit with the Lbinary brokerage. The Home Online Earners system provides some pretty aggressive claims with the ticker right underneath the email subscription form. In this ticker we see the traders just made a specific amount of money in this amount of money is generally over $5000. This ticker is apparently connected to real traders that are using their software. Below that we see stats from beta testers in a live results section. These results are not verified so I cannot prove that they are real or false. Today I’m going to reserve judgment about the Home Online Earners binary options software. Before I get involved with a product like this I would like to hear more from the binary today community and hear from some people I know that it used it. I’m at the point now where I don’t really trust testimonials on websites, I prefer to hear it from people I actually know and associate with here. One of the considerations we have to take when looking at this software is the fact that it’s a beta test and I mentioned it 100 times before that means it’s not ready for the market. I’ve talked with a lot of people about this and all the product developers that I’ve talked to another markets use beta tests as a way to fix their program and to make sure that it’s working well enough when they release it to the public in charge money. So be careful with any beta testing system. If you have something you would like to add to this review please leave your contributions below. I appreciate hearing from you every time and let me know whatever you think whether it’s on the Home Online Earners software or not. Just been watching this ‘trading’ for a few trades – it did allegedly a trade EUR/USD PUT at 8:40 this morning opening at 1.08542 (seems correct) Expiring 9:00. When it expired the rate (at market) was 1.08612 … yet the trade reports the closing rate as 1.08098063 which this pair has been nowhere near today so far.